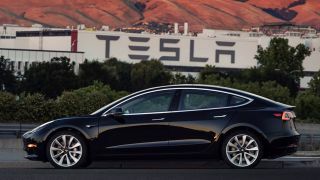 Tesla owners will receive an automatic upgrade to their vehicles’ self-driving software, the company’s CEO Elon Musk has revealed in a tweet. Set to go live in August, the V9 update will build on the Tesla fleet’s Autopilot feature, improving its autonomous navigation capabilities and bringing drivers one step closer to true hands-free driving. In the tweet, Musk said current issues with the software would be “fully fixed in August update”, and the V9 update would “begin to enable full self-driving features”. The upgrade comes amid a storm of bad publicity for Tesla in recent months, after numerous crashes were linked to drivers using the Autopilot feature. While the company has repeatedly pointed to human error in these cases, the ‘Autopilot’ branding has left some drivers confused about the capabilities of the software, which is still currently more of an ‘assist’ feature than a a fully autonomous driver/navigator. The V9 update may technically make drivers safer, but Telsa and other makers of autonomous vehicles appear to still have a way to go in building public trust in self-driving vehicles.